Four american college girls on spring break take time out from underdressing and pouring alcohol inside and outside their bodies to engage in bouts of organised and and disorganised crime. 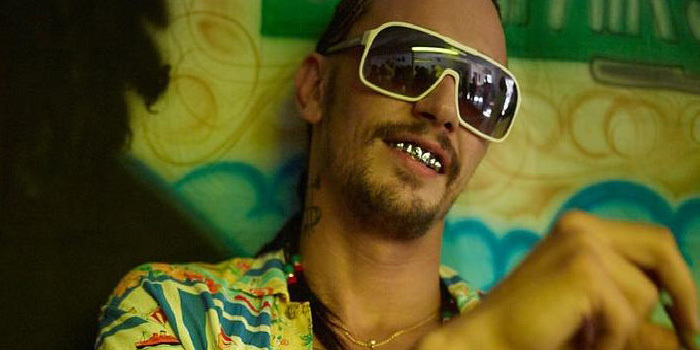 In the latter half of the film they team up with uzi-toting gangsta-rapper James Franco on his quest to be the blackest white guy in the room. Slow paced, repetitive, impressionistic; it is beautifully shot and above all coloured, hemorrhaging its florid, Floridian, black-light and neon hues.